This afternoon, more than 90 juniors and seniors were honored with the President’s Volunteer Service Award during a special ceremony. Rusty Davidson, Southwest Region Director of Children's Hunger Fund and brother to our very own Fine Arts Department Chair Dusty Davidson, kicked off the ceremony with a speech on the impact and importance of community service. 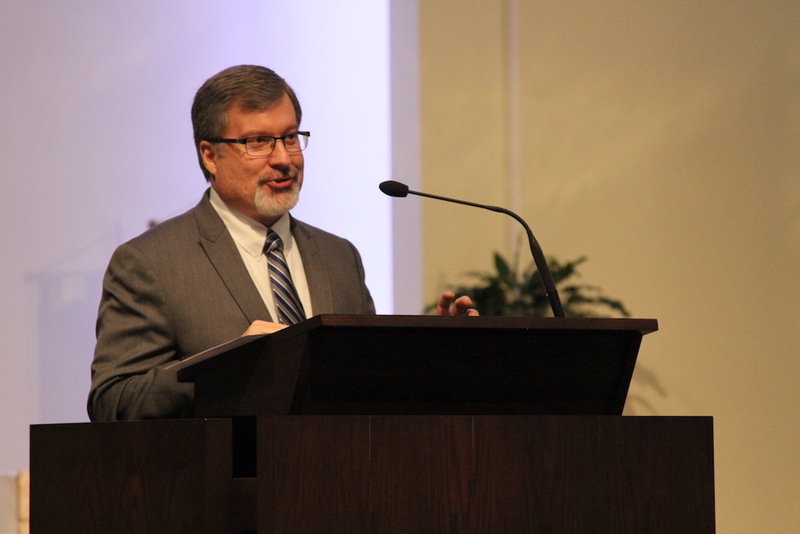 He thanked our students for their commitment to serving others, before turning the mic over to the Community Service Co-Chairs Emma Cabrales '18, Sarah Kate Massey '18, and Hudson Woods '18 for the announcement of the honorees. Those receiving the award today completed at least 100 community service hours this year. Also honored today were students who have received this prestigious award for four consecutive years, thus becoming a Four-Year Recipient of the President's Volunteer Service Award. 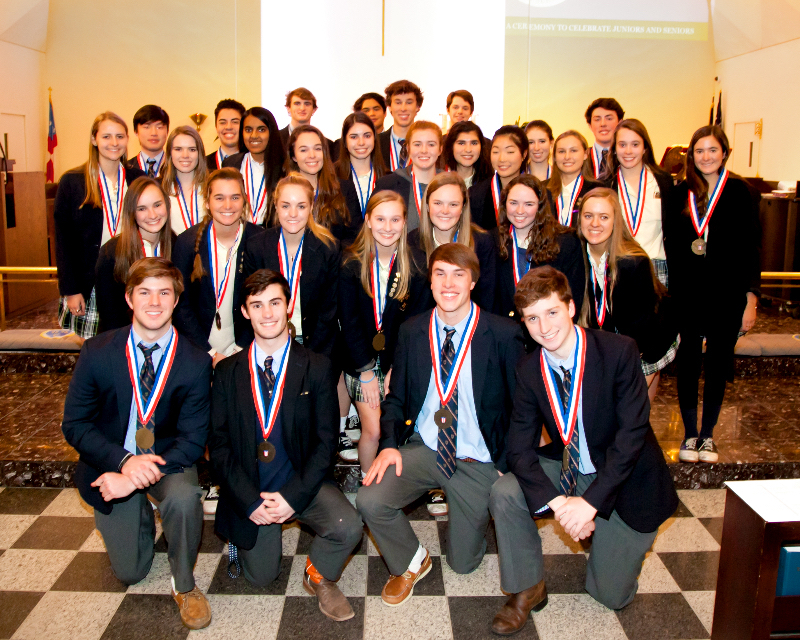 Individually, these students served at least 350 hours both locally and globally during their time in Upper School here at ESD. Collectively, they dedicated over 11,540 hours to helping others. In alignment with ESD’s Founding Tenet of Service, these students dedicated their time and energy to serving others in our community and beyond. Please see below for a list of the students who achieved this award. Congratulations, Eagles. Pictured above are the four-year recipients of the President's Volunteer Service Award. For more photos from today's ceremony, please click here for the SmugMug gallery. The Upper School SmugMug password can be found under the SmugMug tab on the Private Parent Portal. Please contact Emma England with any questions.